Персонаж - Leader. Очки: 12/15. Здоровье: 11. 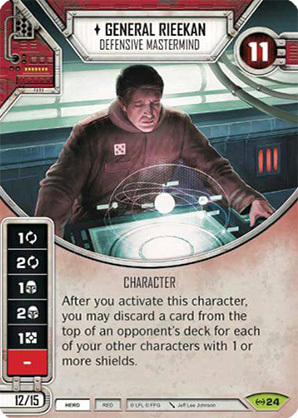 After you activate this character, you may discard a card from the top of an opponent's deck for each of your other characters with 1 or more shields.